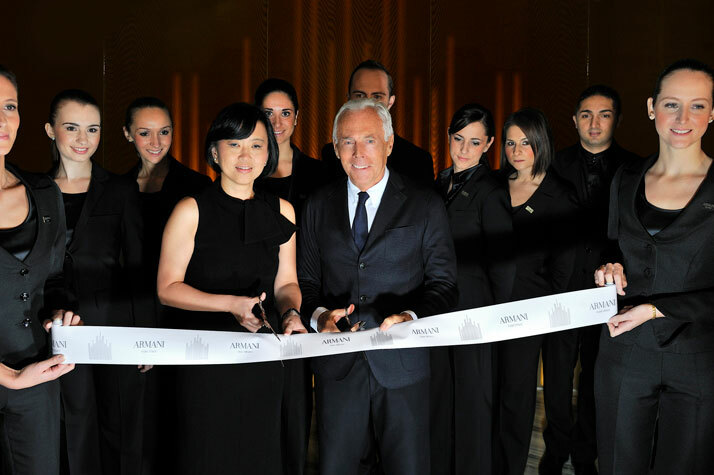 The very first ARMANI Hotel in Milan opened its doors on November 10th,2011. Following the Hotel in Dubai, the successful collaboration with Emaar Properties brought this great project into reality. 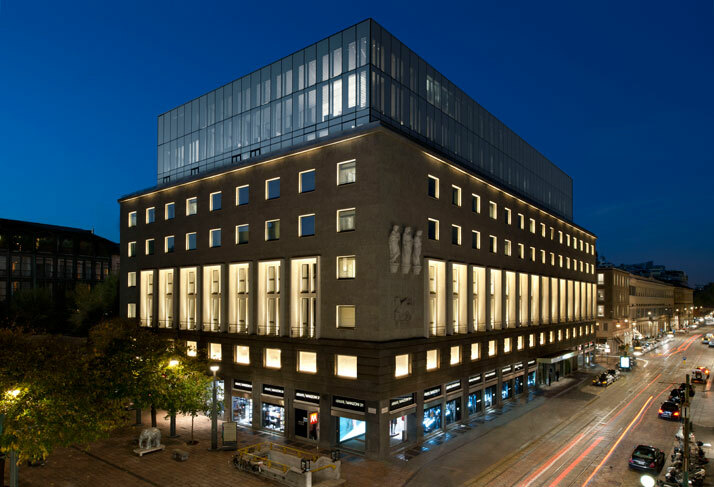 Located within the extraordinary Palazzo at Via Manzoni 31, originally designed in 1937 by Enrico A. Griffini, this new addition has ARMANI Lovers excited about entering a world were all is simply the norm; a norm known as ARMANI. 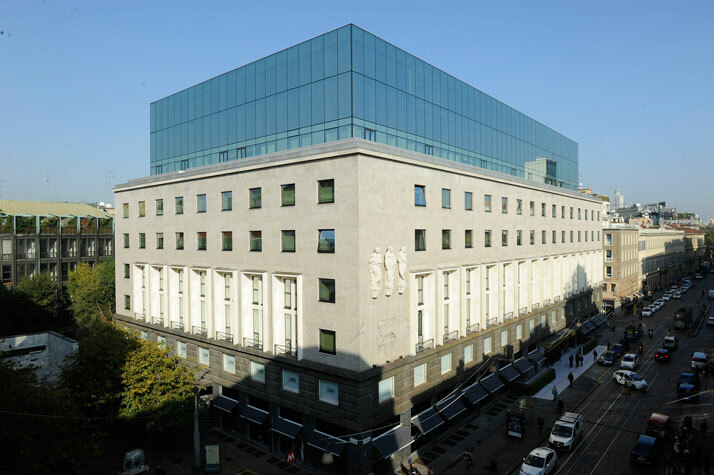 The character of this colossal lifestyle is fully captured from the historic building itself which expresses its timelessness with its no frills façade added to the grandness of stone and clear-cut punched openings. This is combined with the lightness and simplicity of the upper extension into a world of modernity. Interestingly enough, this monument is shaped by the architectural ground plan into an immense ‘A’ visible in the original Griffini drawings and from a helicopter view. Some say this is symbolic, we say this is ARMANI. Nothing is by chance and everything is about the ‘A’. Inside this 95 room luxury property, great importance and careful consideration has been given to both the design and the services. A harmonious world of privacy with uncompromising attention to guests’ requirements was of prime importance. This is where an interior where luxury, calm and beauty coincide, all but imparting an aesthetic of excellence to the concept of comfort; the epitome of these ‘A’ class interiors. Finishes, fixtures and tonalities have been carefully combined to express the desired aesthetics and the sentiments within these beautified atmospheric walls. When you want the Absolute lifestyle you have to design knowingly for the Absolute needs. These needs are epitomized by a unique concept baptized as the Lifestyle Department. Lifestyle Managers are the point of contact for guests, whose every need and wish will be fulfilled with discreet assistance at all times. As soon as guests arrive in the lobby looking out on Via Manzoni, their Lifestyle Manager will be on hand to welcome them and take them to the seventh floor. 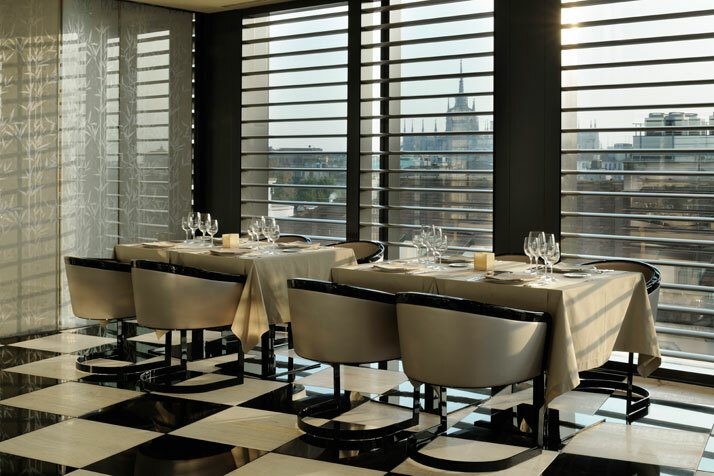 The Absolute seventh floor is where all public areas and check in area (accompanied by a Kir Royal and a panoramic view over the skyline) are concentrated. The restaurant, lounge and bar encompass the essence of serene grandness. Features such as the double height ceiling, the wall with its huge window softened by louvered blinds and sections in backlit onyx are combined with a good choice of music to ensuring for a relaxed ambience. Suffice to say, velvet stilettos with black rear lined stripe stockings are favourably recommended for walking along this social ‘A – List’ interior. Of course there is also the world of heaven on the Eighth floor. Covering an area of 1,200 square metres, this level is entirely devoted to beauty and relaxation, bringing together a range of treatments and therapies that promote physical and mental harmony. The same harmony also prevails in the private bedrooms. Ranging from 45 to 200sqm, comfort, privacy and luxury is of prime importance. 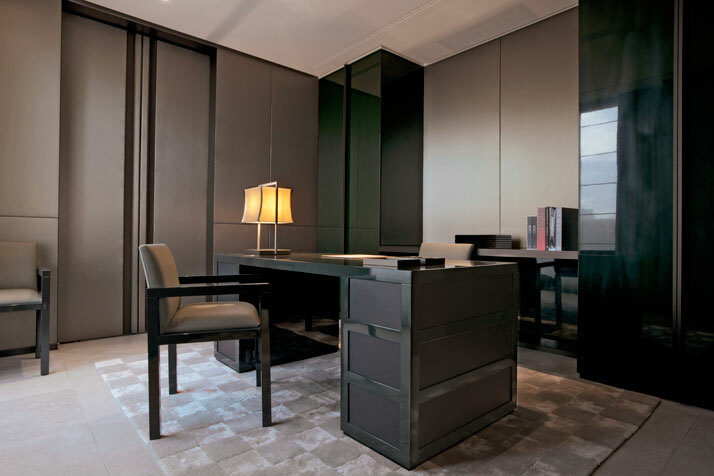 An example of this approach is the fact that every room has its own small foyer that creates an intervening space before the intimacy of the bedroom is revealed. Each bathroom, structured for use by two people, features the very finest fittings, including a shower enclosure in discreet one-way glass that allows a view out from inside the shower cubicle, but no view in the other way. The floors and walls in natural nuances of creamy brown are clad in Silk Georgette and a smooth limestone from Asia. 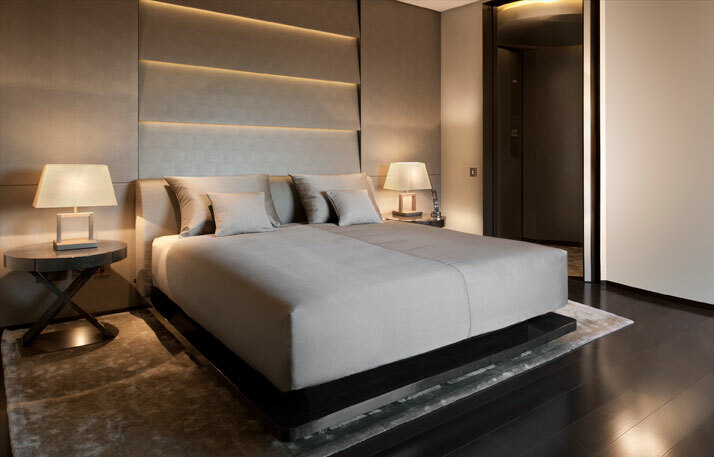 All the furnishings share the ARMANI/Casa collection signature design philosophy but have been specifically devised in a range of precious finishes to reflect the period mood of the palazzo: from the elegant linear sofas covered in sophisticated fabrics, to the backlit wooden bed heads.